WHAT TO EXPECT GIVEAWAY!!!! THREE BOOKS! You don't want to miss this one. Share the link. Pass it around. This is three books from WhattoExpect.com. You can enter for someone else if you don't need the books. These would be the BEST shower gift. If you can use one, you can give the other to a friend. Follow the link to see the titles included in the giveaway and enter. Extra entries available! It has been such a long time since I have done a giveaway but I think I'm ready now that I have graduated from college. I love doing these things and now I have more time again finally. I have four daughters. 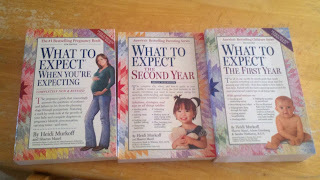 Each time I was pregnant I referred to the What to Expect series. Do you remember those books? They are amazing. I read them every single day. I marked my pages and referred back to them constantly. My sister was also pregnant at the same time as me during two of my pregnancies. I would relay the information to her as well. I had the answers because of these books! haha I have to admit it has been the source of a lot of the information I already had when I started nursing school. I had an advantage in the obstetrics and pediatrics courses because of the information I got in these books. 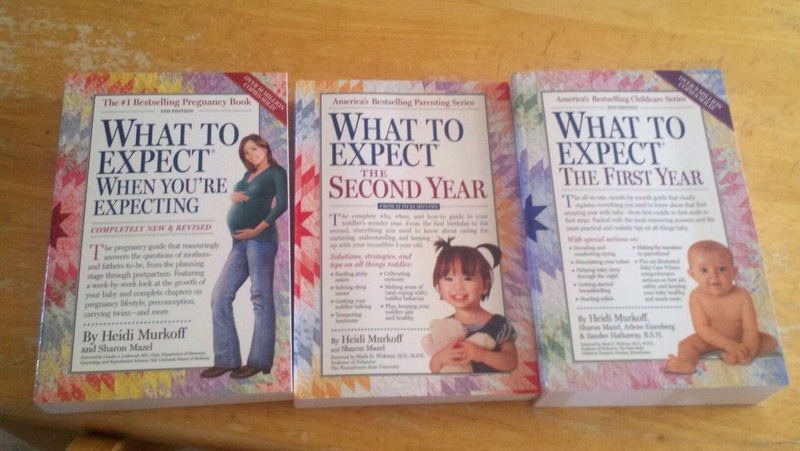 My favorite book was What to Expect When You're Expecting. I particularly loved the comparisons to the size of the growing baby inside me. It was just so amazing and really helped me to visualize how big my baby was. The books continue to What to Expect The First Year, and What to Expect The Second Year. I also referred to The First Year book. It helped me a lot and I continue to pull information from these books. They are such a great resource. To enter this giveaway you must follow Pregnant With Cancer publicly, and leave a comment telling me which book you will enjoy the most. Please include your email. You must do this before you complete any of the extra entries! You can enter for someone else if you wish. These would make a great baby shower gift as well. You can always share one of the books with a friend. This giveaway will end on January 14th, 2011. Good Luck! !